Your hard work and effort paid off. 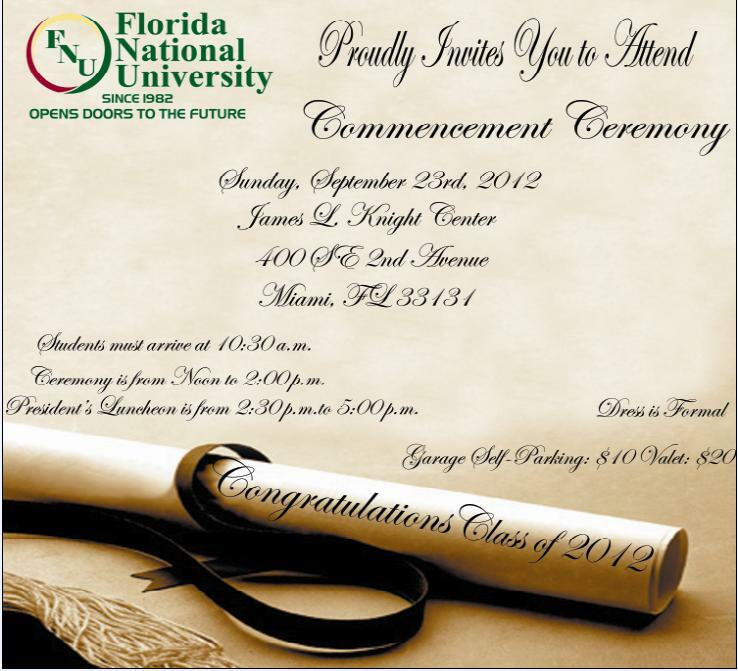 FNU’s Commencement Ceremony will be held on Sunday, September 23, 2012 at the James L. Knight Center. Please refer to the invitation for details.